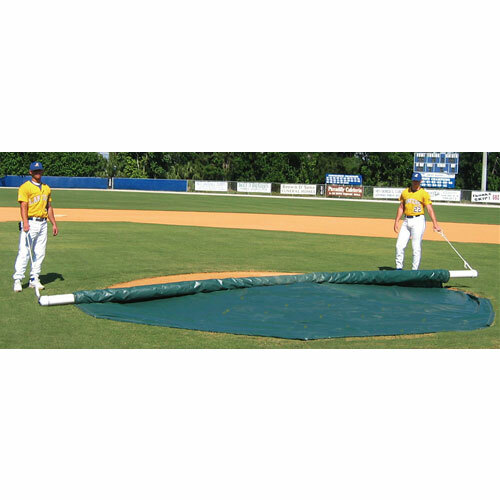 Allows Two People To Cover A Mound In Less Than 30 Seconds! Ingenious PVC-Aluminum pipe design with handle at each end for carrying and a second handle at end of 5' stainless steel aircraft call for pulling. Makes tarp storage, installation, and take-up a breeze.